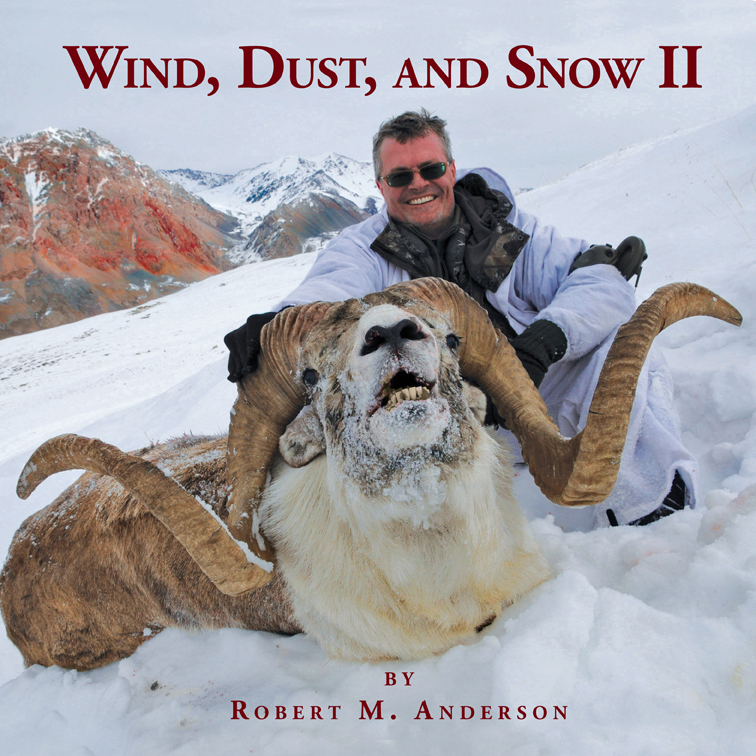 Robert Anderson knows his sheep and Caprinae and has spent a lifetime gathering modern and historic photos and stories about the world's most coveted game animals. (He, himself, is also a hunter of mountain game.) In this, his second book on Asian mountain game, he has pulled out all stops: The book is filled to the rim with contemporary photos of great argali, urial, mouflon, blue sheep, markhor, tur, and ibex that will make every mountain-game hunter worldwide get an elevated heart rate! Also included are great modern and historical stories about unbelievable hunts that will be the envy of every sheep hunter alive. Complementing these stories are two detailed historical chapters on Marco Polo sheep hunting that sets conventional thinking on its head. It turns out that immediately after World War II several individuals managed to penetrate the Pamirs in search of fabled Marco Polo rams, even though most think that Asian hunting wasn't opened until decades later. Anderson takes a long and hard look at Elgin Gates shikars to Asia. It was Gates's 1959 hunt for Marco Polo that made the hunting world sit up and take notice, although he and his companion Herb Klein were by no means the first hunters after World War II to obtain this sheep. Several large mysteries surround Gates and this hunt, which is not surprising since Gates himself wrote at least five versions of this account. What Anderson discovers is fascinating. Another larger than life sheep hunter is Art Dubs, and Anderson devotes a lengthy chapter on Dubs's mountain hunting career in Asia. Love him, like him, or hate him, Art Dubs was one hell of a determined sheep hunter and arguably the most accomplished sheep hunter of them all. Then there is a chapter on Al Means, a quiet and self-effacing man, whose accomplishments rank alongside the two others. A famous sheep hunter once said, "All sheep hunters are crazy!" No one is likely to dispute that notion after reading about hunting at altitudes that make breathing a seriously belaboring activity and getting a mature old ram or billie a virtual impossibility because of the steepness of the terrain and the intelligence of the quarry. Even given these environmental and physical obstacles, each year a handful of individuals persists and climbs the highest mountains on earth to seek trophies that are almost impossible to get. The pages of this book reveal a sheep- and goat-hunting paradise for those intrepid enough to scale the rooftops of the world. Magnificent photos and engaging text take you to this place. Submit your review for "Wind, Dust, and Snow II"